The book itself is over 300 pages of tutorials, concepts and exercises that introduce common to advanced processes and these are tackled over 6 chapters. Rather than invest time and pages in teaching the basic principles of SketchUp Alex devotes a chapter to Refreshing your skills which overviews the more involved SketchUp functions and features to help understand the latter chapters. By chapter 3 you begin to get to the meat of things with a topic devoted to informing your models. There you learn the importance of groups and components and begin to leverage SketchUp Pro features to Generate Reports effectively and scenes to animate the assembly process. 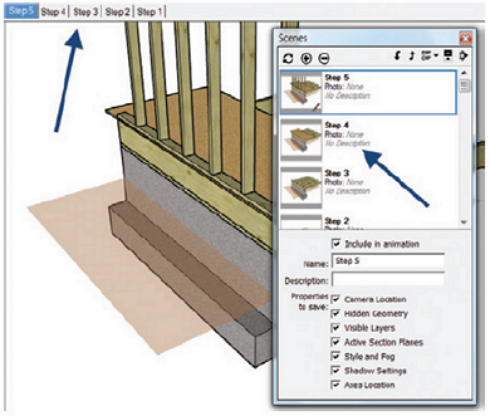 Dynamic Component creation is excellently presented to show users how to use SketchUp Pro features. Space planning and integration can be used generate reports to pull out the info needed during the design process. 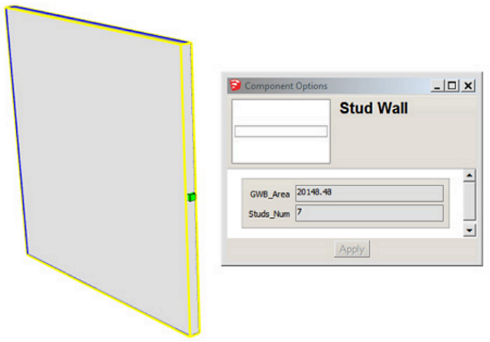 Whether it is the number of studs contained within a wall or floor space planning you are brought through the techniques Alex uses to quickly assign attributes to SketchUp objects. No SketchUp book would be complete without mentioning extensions and in Chapter 4, 'Using Extensions Effectively', Alex details some of his favourites. Rather than explain each plugin, Alex lists them by use and shows examples of how they are used in various fields. This is an invaluable piece of information for anyone trying to establish a best practice approach when it comes to choosing extensions for SketchUp. Alex breaks it down into 6 main areas - Modeling, Architectural Modeling, Digital fabrication, Data Integration and Exchange, Animation and Presentation and Analysis. Each section then lists and gives quick examples of most of the tools needed to perform anything from modeling trusses to interactive 3D panoramas. The examples Alex uses are all very practical. There is a very good sequence which involves using Google Earth Terrain, TIGs Slicer tools and later the Unfold extension. It is very much geared towards using SketchUp to help with physical builds for presentation by applying various techniques and tools to help the design process. While tutorials for using extensions are in abundance on the web, this is the first that compiles them by category and use for various fields. Chapter 5 covers photo-realistic rendering in SketchUp and begins with a general overview of the terminology and science behind this dark art. It will give anyone looking to add this to their workflow a firm grounding in the basics. Alex then goes into incredible detail on the process and leaves no stone unturned as 1/3 of the book is devoted to this topic and it is far from boring to read! The examples and exercises are fun and challenging with some top tips shared to really make your rendered images pop. If you are looking for an introduction to rendering that doesn't need a PhD to decipher and isn't application specific then this is a great resource. As mentioned earlier Alex is known for his contribution to the Ruby community so in Chapter 6 - 'Creating geometry Using Ruby Scripting' Alex demonstrates that scripting can create geometry quicker and easier than modeling by hand. It certainly is an interesting topic to choose to place in a book about architectural design and it covers a wide and varied range of topics. But there is method to this madness. Each example is geared towards showing that a few snippets of code is quicker than repetitively modeling by hand. 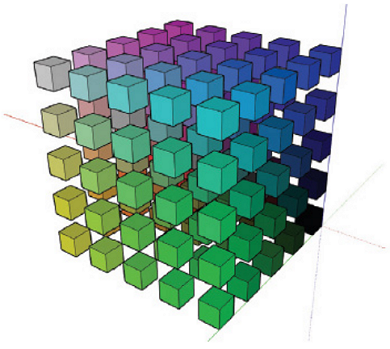 Whether it is simply changing the height of buildings to be random (extremely slow to do by hand) or creating patterned panels (another laborious task), Alex demonstrates that only a basic understanding of ruby is only needed to achieve results in SketchUp. It is not going to make you a coding genius overnight but it will give you the knowledge on which to build upon. Overall, Alex's book on Architectural Design with SketchUp is a winner. Well structured, illustrated and most of all easy to read and understand. While the overall theme is based in architecture, the techniques can be applied to any discipline and the wide range of topics covered are excellently delivered. The book is also accompanied by a companion website where you can enter into discussions and keep up to date on all things SketchUp. There's a 3D warehouse collection that has sample files from the book and also a really informative tutorial section that covers some of the techniques Alex uses in his design process. You can buy this book in paperback or digital formats (including kindle, ePub, iBooks) through Wiley or Amazon.